A knife-edge vote Friday (7 December) will determine Angela Merkel’s successor as head of her party after 18 years at the helm, with the German chancellor’s own political fate and legacy on the line. Merkel, the European Union’s most powerful leader, stunned observers in October with the announcement following a state election setback that she would not stand again as chairwoman of her centre-right Christian Democrats (CDU). After years of turmoil within the party and the electorate over her disputed decision to keep the border open to more than one million asylum seekers, Merkel has said she will leave politics when her term ends in 2021. 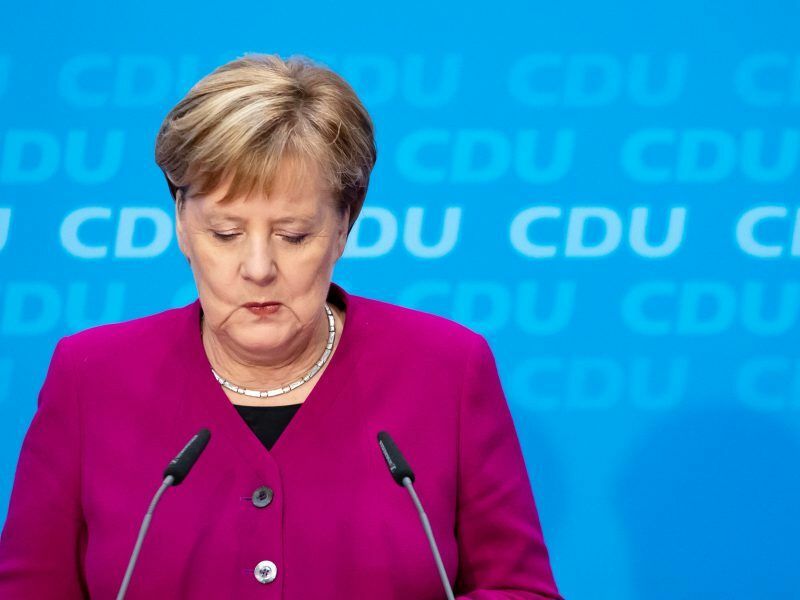 German Chancellor Angela Merkel announced on Monday (29 October) she no longer wants to run for CDU chairmanship in December and, after the current legislative term, does not want to stand as a candidate for the chancellorship. 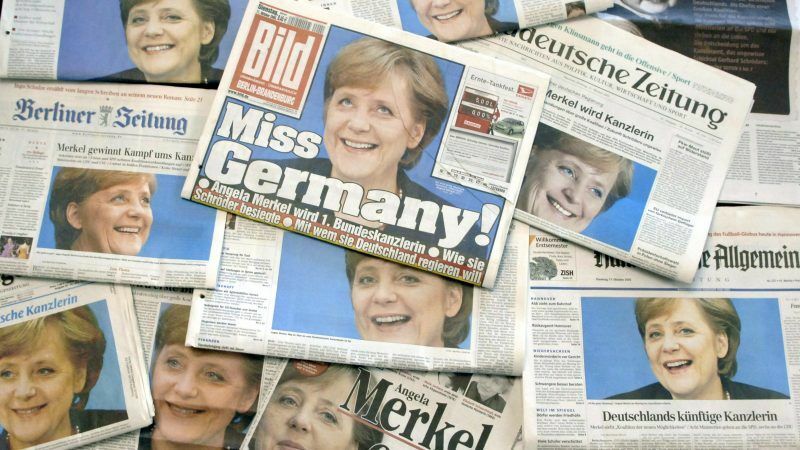 EURACTIV Germany reports on ‘the end of an era’ in the country. Whether she can hold on to power until then will depend in large part on who the CDU elects to replace her at a party conference in Hamburg, with a Merkel loyalist and a longtime nemesis running neck-and-neck. “Sooner or later, whoever becomes the leader of Germany’s biggest party will probably become chancellor,” political scientist Eckhard Jesse of the University of Chemnitz told AFP. Widely seen as Merkel’s anointed crown princess is Annegret Kramp-Karrenbauer, 56. 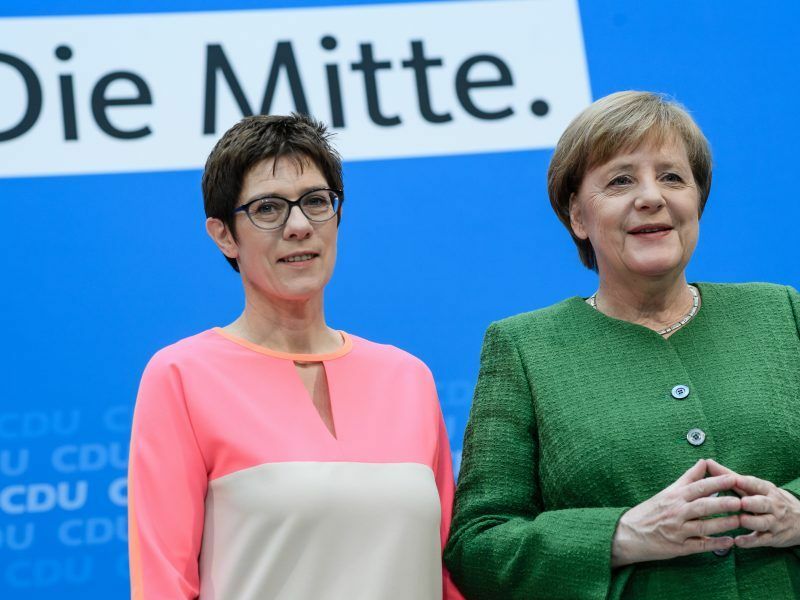 German Chancellor Angela Merkel put forward close ally Annegret Kramp-Karrenbauer yesterday (19 February) to take over as secretary general of her Christian Democrats (CDU), heeding calls from within the party to inject new blood and groom a successor. Known as AKK for short, she is the CDU’s centrist general secretary and former premier of tiny Saarland state. While polls indicate that she is also the favoured choice among German voters and the CDU’s rank-and-file, there are indications she has failed to electrify the 1,001 delegates who will cast ballots in the race against her charismatic main rival, Friedrich Merz. Merz, 63, a hard-charging corporate lawyer, lost a power struggle to Merkel in 2002 and insiders say he has never forgiven her. He is also viewed as embodying the party’s desire for change in both style and substance after 13 years with Merkel in the chancellery, despite her enduring popularity. 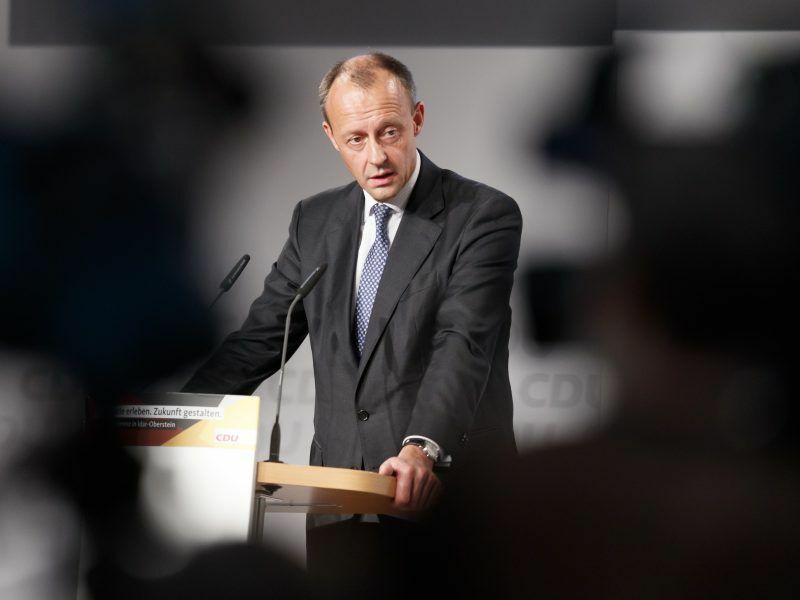 Friedrich Merz, trailing in the race to succeed Chancellor Angela Merkel as leader of her Christian Democrats (CDU), sparked uproar by questioning Germany’s constitutional guarantee of asylum at a hustings late on Wednesday (21 November). The wild card in the race is Jens Spahn, a 38-year-old openly gay minister in Merkel’s cabinet who long railed against her refugee policy. Analysts say that a win for either Merz or Spahn would likely bring a swift end to Merkel’s chancellorship, possibly triggering new elections next year. How the delegates will vote is anyone’s guess, with most keeping their cards close to their vests. Nearly all hold political office or party posts. One-third are women. After more than a decade in the private sector, Merz says his conservative credentials and business savvy make him best placed to win back disaffected voters. But he touched a nerve when he said the CDU, in his absence, had accepted the rise of the far-right Alternative for Germany (AfD) party during the refugee crisis “shrugging its shoulders”. “I get icy chills down my spine when I see people running around in this country doing the Hitler salute,” he told one regional conference. Kramp-Karrenbauer, who has criticised some aspects of Merkel’s border policy, shot back that Merz’s accusation was a “slap in the face” for the party’s foot soldiers. “Pretending you could just say or decide something and then the fight against the AfD would be won is naive,” she told the weekly Frankfurter Allgemeine Sonntagszeitung. The CDU remains Germany’s biggest party. But the 33% it scored in the September 2017 general election has sunk to around 28% in opinion polls as the party suffered losses in a string of regional votes. While still seen as Europe’s go-to leader on crises from Brexit to Ukraine, Merkel has watched her standing diminish at the top of a loveless “grand coalition” with the Social Democrats (SPD). They are faring even worse in the polls, as internal divisions over its former chancellor Gerhard Schroeder’s sweeping labour market reforms continue to fester. CDU stalwarts expect a Merkel nostalgia-fest in Hamburg as the faithful bid a gradual goodbye to the woman who won them four national elections. But newsweekly Der Spiegel noted that the leadership struggle needed to produce some sort of consensus on Merkel’s legacy if the party wants to avoid the fate of the SPD. “Without a critical reckoning with her era, the CDU will be stuck in an interminable therapy session,” it said.